My beautiful "Classic" Memory Paw® Pendant Paw® is just like a piece of stained glass. Available in sterling silver & 14k white, yellow or rose gold your pets cremains are suspended in a sea of solid resin. Also available platinum by special order. It comes in our regular size that is about the size of a dime & is about 1/16" thick. 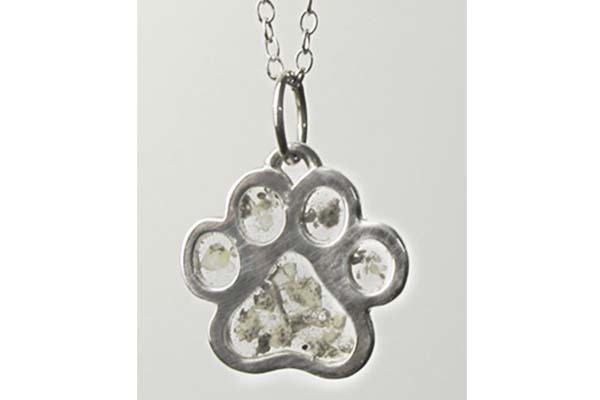 The silver Classic Memory Paw® comes with/an 18" sterling silver chain. The Classic 14k Memory Paw® does not come with a chain.